Hosting the tournament means more than showing other nations around the world that we are world-class. Australia has already shown that in women’s football. Instead, the event in 2023 would be Australia’s first time hosting the world’s highest standard of single-sport event ever—the FIFA World Cup. As one of the world’s most developed nations, it is astonishing to consider that Australia has never hosted a FIFA World Cup. But ever since our failed bid for the 2018 World Cup, Australia has mounted momentum toward reaching the FFA goal of hosting one. It is telling of our history as a country colonised by the British when we have a history of hosting rugby and cricket world cups, and Masters and Commonwealth Games, but, absurdly, no representation in football. Hosting, and winning, the 2015 Asian Cup was an explosive step in the right direction for Australia. When deciding a host, FIFA’s Congress go through an exhaustive ballot process made several years before the tournament that aims to develop the game in emerging communities. FIFA describe the expansion of the World Cup as an opportunity to “unleash football’s full potential everywhere and at all levels”. It is a tournament to “increase participation” in developing football nations, and, with the expansion of the game in our country, this is perhaps the best description of Australia as a football boomer. In Australia, football continues to be the nation’s largest club-based participation sport by a great margin. In data gathered by AusPlay, FFA released news that over half a million more people play football than AFL and more than twice as many as cricket. In the words of FFA CEO David Gallop, “[f]ootball has never been bigger or busier”. Accompanying this momentous growth in footballing interest is the FFA’s Whole of Football Plan (WOFP), which sets out Australia’s 20-year vision for the game in our country, and the FFA Football Curriculum. Not only does Australia have the numbers—we have the vision and we will have the infrastructure for the tournament in 2023. 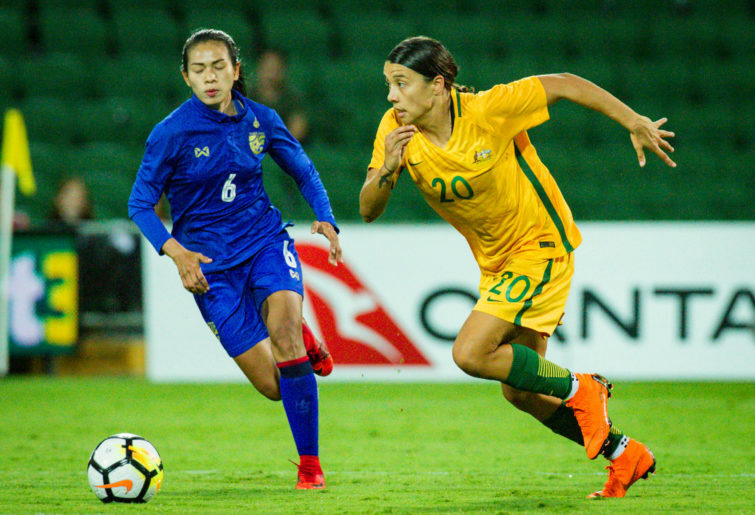 Moreover, if there were ever a time for Australian sport to stand for international excellence—it is now—with the current crop of world-class Matildas led by the prolific Sam Kerr. And with the quality of football that the youthful group of female footballers are pumping out, it’s a fair bet that Australia won’t be vying for World Cup bidding to gain immunity from qualification. 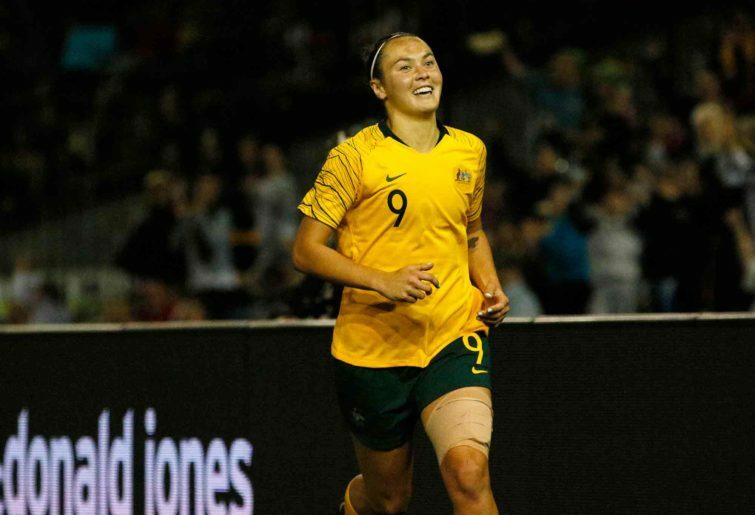 After winning the Tournament of Nations, which was highlighted by a first ever win against the US, the World Cup in 2023 heralds an opportunity for the Matildas to cement Australia as a global powerhouse in women’s football. Our girls will be out there to win it. However, lamentably it could not be a worse time for Australian policymaking – all the bickering, back-stabbing and nationalist sentiment – which is entirely out of touch with global expectations. Let’s hope politics don’t play a part and we can focus on the football, but the fact remains that a tournament of this calibre cannot exist without public, governmental support and infrastructure. At this level, the game doesn’t depend upon the quality of the football played alone—it depends on the character and integrity of its host nation. The Turnbull government—the same Muppet show shamed by its own leader—made the acknowledgment in 2017 to support the bid for an initial $1 million with the balance of $4 million to be granted “following fulfilment of designated criteria milestones”. That’s good news for the game in Australia, if it weren’t the same government which dished out $444 million in un-audited funding to an anonymous charity, handing out the cheques. The point I’m making here is can we trust the word of a governmental gaggle-of-hands? Can we trust our own government to lead the charge for our Matildas – the greatest group of female footballers in this nation’s history? Enough is enough. It’s time for all of Australia—from top to bottom—to #GetOnside, because the world game deserves better.